About My Email Subscription Service - Sleek For Yourself! About My Email Subscription Service | Sleek For Yourself! Hi guys, this is just a super quick post to explain something to my email subscribers and readers. I've recently made the decision to start a monthly newsletter. Currently I have an email subscription service where if you sign up, every time I upload, the post will come straight through to your email inbox. This suits a lot of people as they don't have to go onto social media or even my website to read it and they are always reminded when I post. I shan't be getting rid of this feature as I know some people like it. I would like to send out a monthly newsletter which has all of my posts that month compacted into one email. I'd also like to make it a bit more fun and personal too. Not only will I cover a brief synopsis of each post but I will also tell you what you can expect on the blog next month and anything else exciting going on in the world of Sleek For Yourself. I thought I could get really creative with it, and that way you don't need to worry about reading them as they are posted, you can simply wait for the email and grab a cuppa and catch up in bulk. After speaking to a selection of readers, I did find that people tend to click on a link to something that stands out to them, and then whilst on my website, they will bulk read what they have missed. I thought a newsletter would work well in that case and therefore I'm adding this new feature. It is totally upto you if you would like to sign up to my emails every time I post, you can do this on the homepage if you are on a PC. Or alternatively, you can sign up for my monthly newsletter, just one email a month. 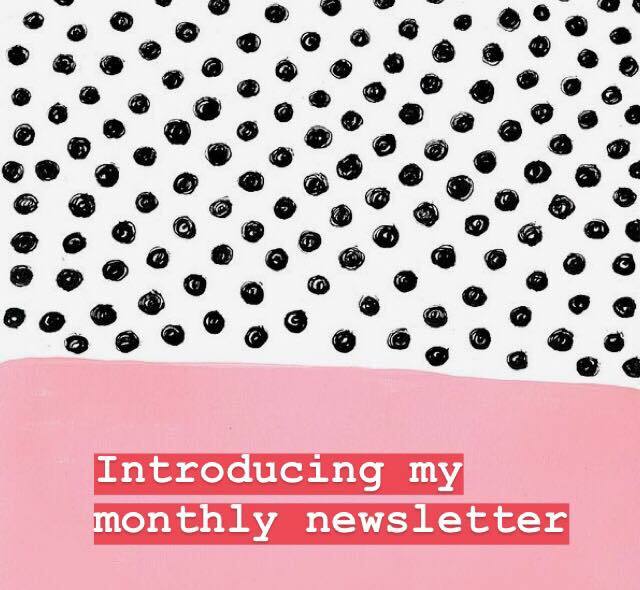 If you would like to sign up for my newsletter, please drop me a message at stacie@sleekforyourself.com with your email address simply stating you would like to be added to my newsletter list. Alternatively, you can message me on any social medias, tell me in person or however else you see fit. Thanks for the interest so far and I hope you also think it's a good idea!